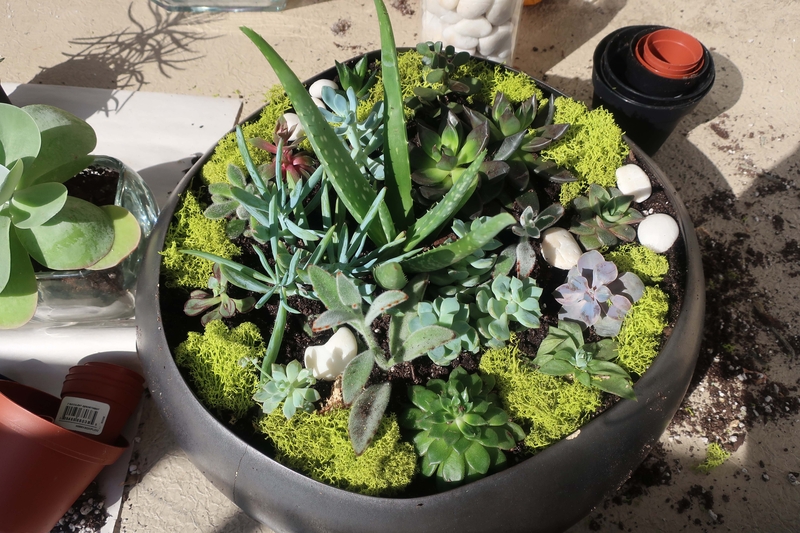 I love trying out new crafts and this year I have started to experiment with succulents. 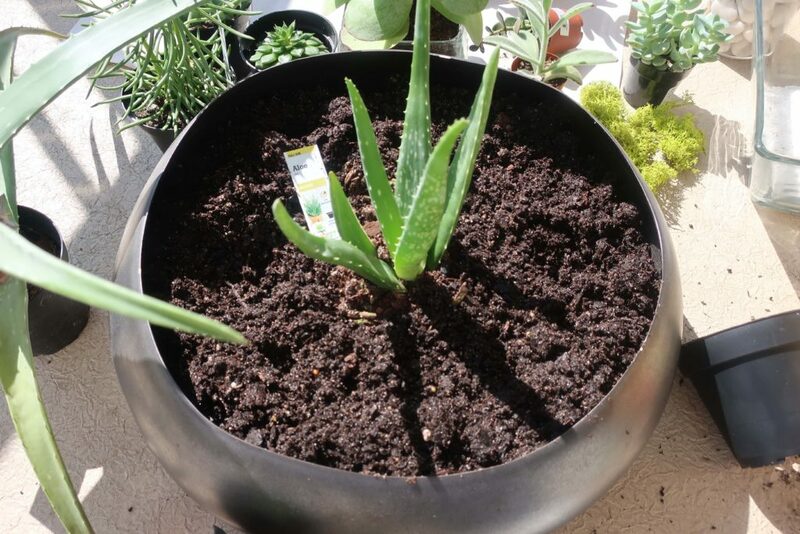 This new hobby is very time consuming but it has taught me some very useful information about planting, succulent species, and maintenance. My first planting project was a success and I hope to do more of these in the future. 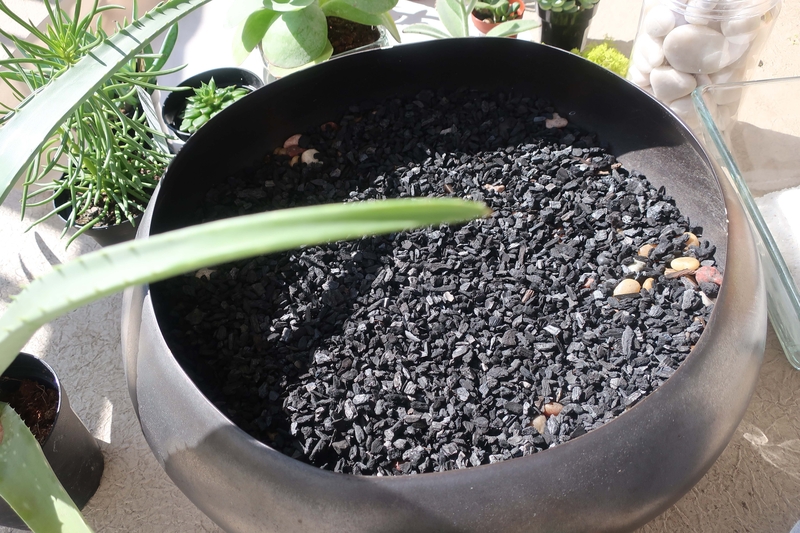 Gravel (stones), activated charcoal for filtration, potting soil mixture for cactus or succulents, various succulent plants of your choice, and for decorations (to keep the moisture away) stones, sand, and moss. Use a dish, saucer, or another container with a drainage hole (succulents dislike standing water). First, fill the container with 1/3 part of the pebbles for water drainage and airflow. Add 1/3 part of the charcoal for purification and to help any excess water to drain. 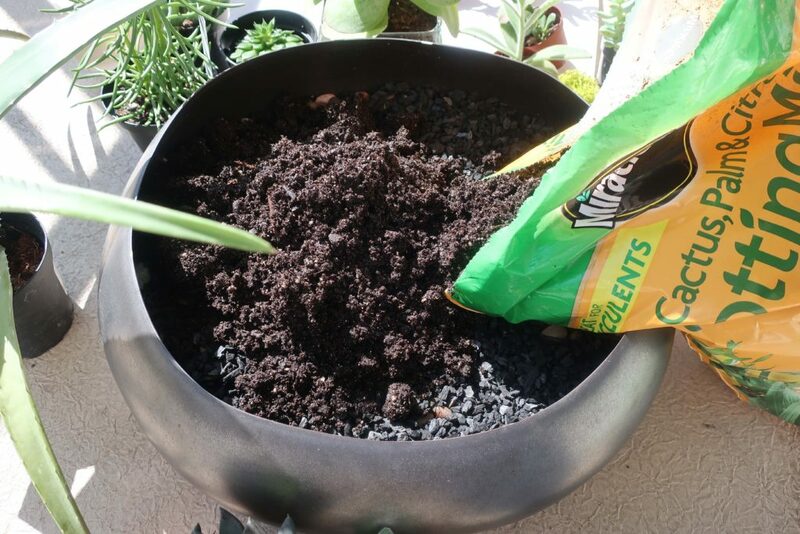 Next put 1/3 part of the soil. 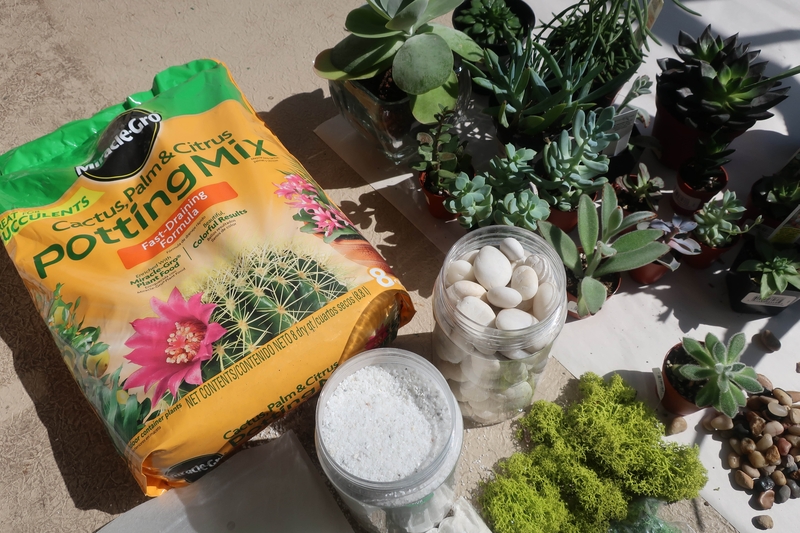 You can use a special soil mix for cactuses or succulents or create your own by mixing potting soil with sand to make it more porous (remember, succulents don’t like wet roots). 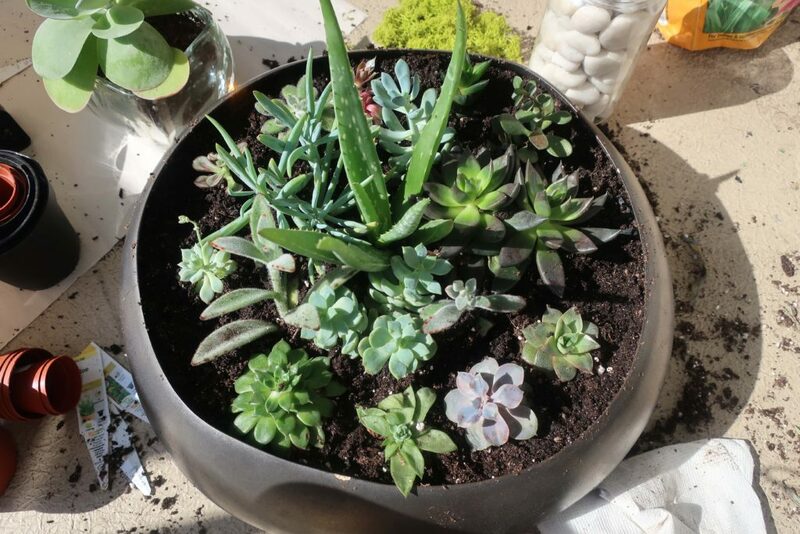 Start placing your succulents; the highest (as a center piece) in the middle and smaller ones on the outside. Get creative! Don’t be afraid to experiment with different arrangements. 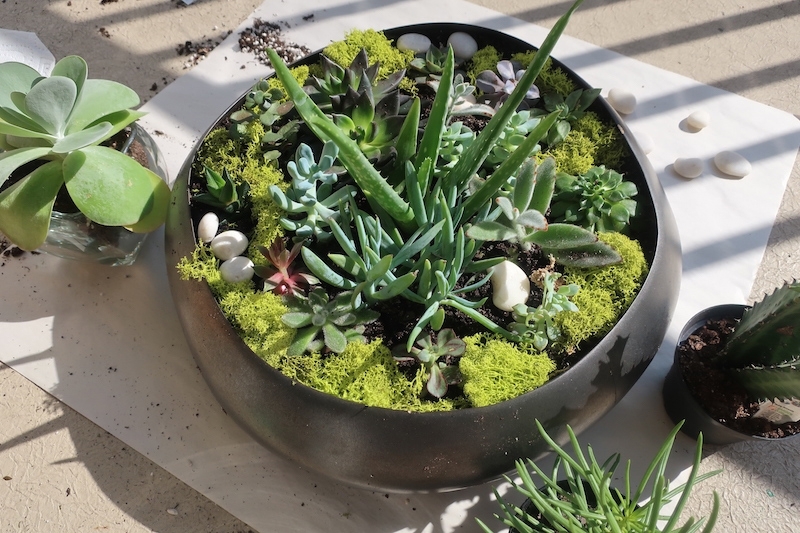 Decorate the pot with moss, stones and white sand if you have any. 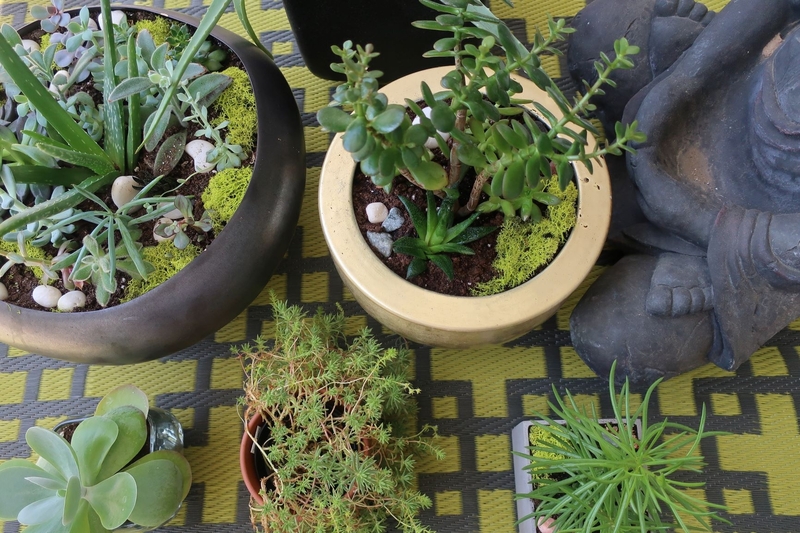 Place the succulents during the winter time indoors with good light. Succulents can survive with indirect light during the winter. 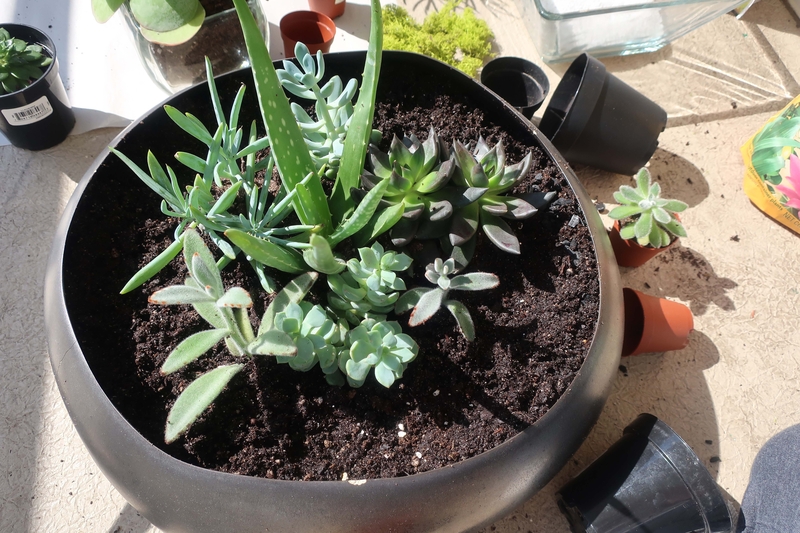 Extreme temperature changes can harm succulents, so bring them in before winter temperatures dip below freezing. Keep the temperature of the room the succulents are in no cooler than 50 degrees Fahrenheit. In the spring or early summer you can keep them outside. 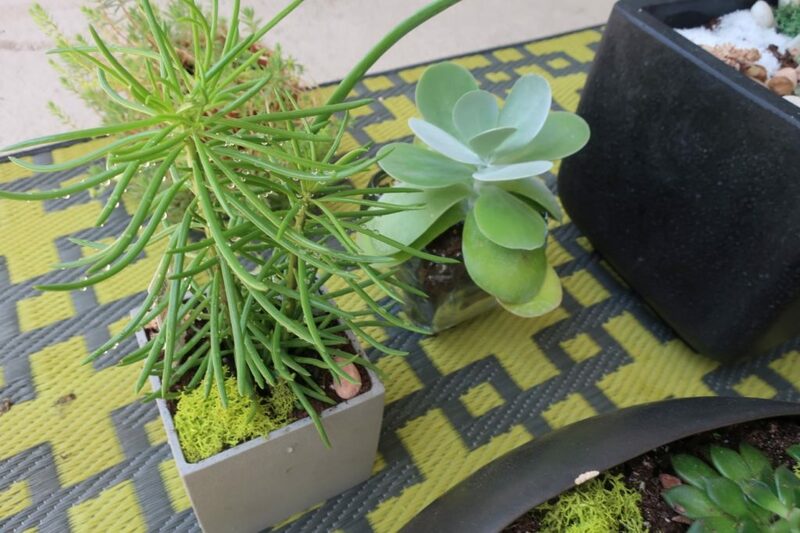 However, when bringing the plants outside start your succulents in an area that gets full shade and gradually move them into an area with more sunlight. 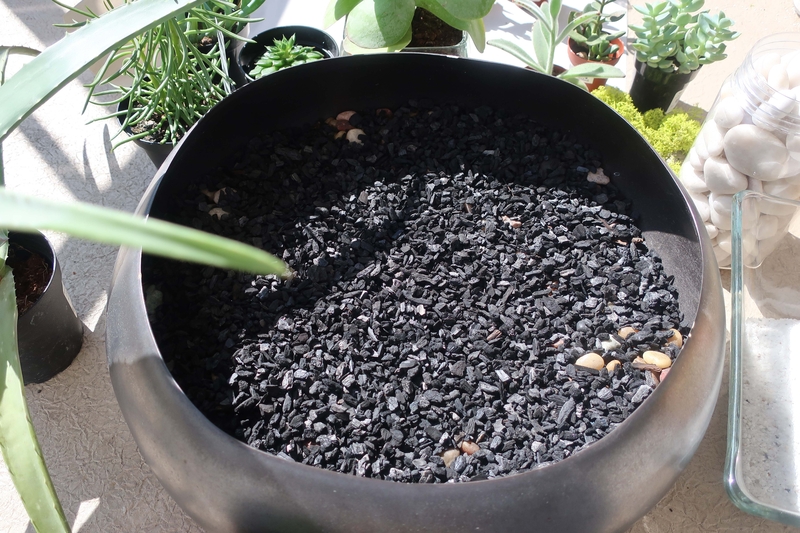 Place the pots on feet or a small pedestal to allow for water drainage and airflow. 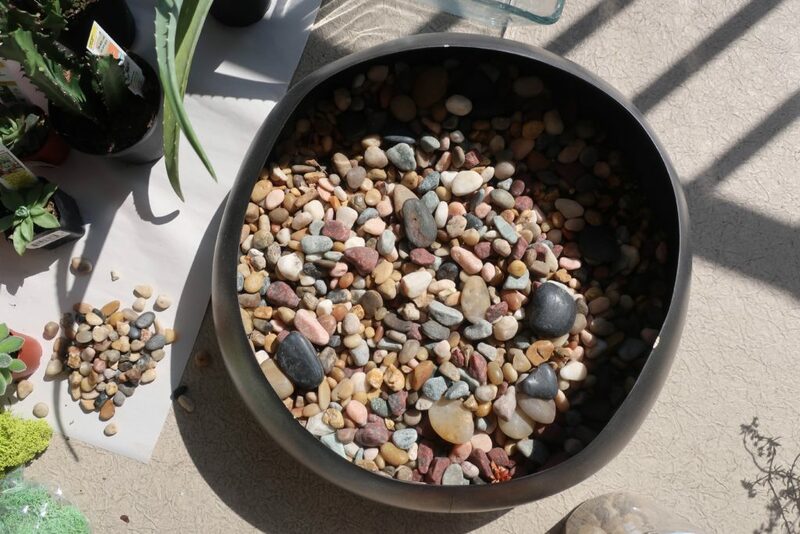 Cover them with soil or with a layer of pea gravel or small river rocks. 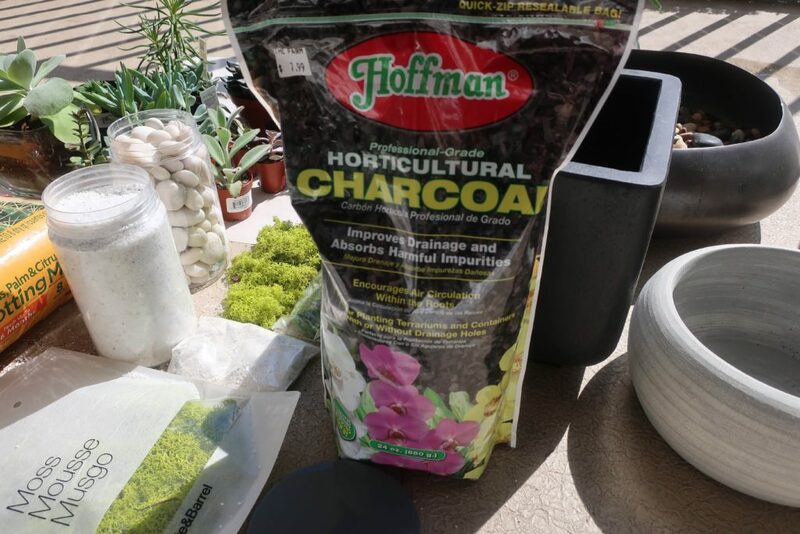 This helps keep moisture away from the base of the plants, which might cause them to rot. During the warm months I keep mine succulents on the balcony where I created a mini oasis to relax and to do my yoga. In the winter time I bring them inside and keep them close to the window. How about you try to make your own garden?